Set to redefine the luxury hospitality scenario, ‘The Postcard Hotel’ has been launched by its Founder and CEO, Kapil Chopra, at a press conference held in Delhi. The Postcard Hotel is a brand of unique, intimate luxury hotels in India and the world. Transformative experiences and local community are at the heart of The Postcard Hotel’s offering. “What I wanted to do with The Postcard Hotel, is make luxury hotels for the modern audience but bring back the romance and charm of holidays. We wanted it to be rich in its experience but also wanted it to be simple. We believe guests want to stay in a place where the hotel does the thinking for them, where they get the simple things right, yet offer fantastic spaces for them to relax, meet like-minded people and experience local culture. 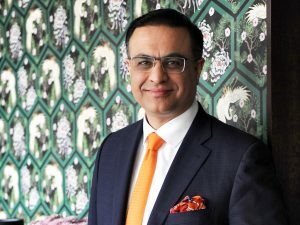 This is why, we handpick our locations and our hotels, so that guests have a different experience whether they are in Goa or overlooking the snow-clad Himalayas,” stated Chopra. In an unprecedented move, The Postcard Hotel has announced the opening of three luxury hotels on the opening day, ready to receive guests that are spread across unique neighbourhoods in Goa – The Postcard Moira, nestled in one of the four heritage villages of Goal; The Postcard Velha, surrounded by 300 acres of virgin coconut plantations in old Goa; and further south, The Postcard Cuelim, that houses a 350-year-old chapel. The brand is committed to building and operating 50 hotels in the next five years. In the next 12 to 18 months, the brand will be present in Uttarakhand, Karnataka, Dhauladhar Mountain Range, Sikkim, Darjeeling, Sundarbans and Kanha. New and upgraded Belagavi Airport has been inaugurated by P. Ashok GajapathiRaju, Union Minister for Civil Aviation and Siddaramaiah, Chief Minister, Karnataka. Belagavi is the second capital of Govt. of Karnataka and is 502 km from Bengaluru and 200 km from Goa Airport. The city is one of the 20 cities selected in the first phase, for development as a smart city under the Government of India’s Smart Cities Mission. The New Terminal, a centrally air-conditioned building, with an area of 3,600 sqm has a capacity to handle 300 peak hour passengers at a time. 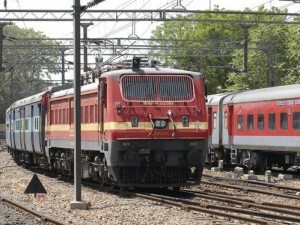 It has all essential passenger friendly amenities and conveniences and is provided with CUTE-enabled Check-in Counters, Baggage Conveyors, Elevator, Public Address System, Fire Fighting & Fire Alarm System, Flight Information Display System (FIDS), CCTV, Baggage scanners and Car parking etc. 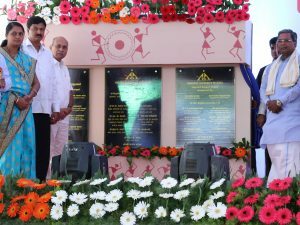 Inaugurating the terminal Raju, Union Minister of Civil Aviation said, “Belagavi is an important City in the state of Karnataka. With the Upgraded Airport, the City is all set to cater to more air passengers from the region. 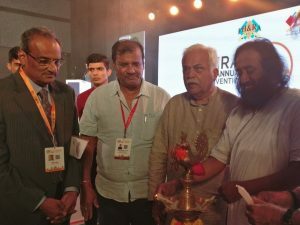 Since Belagavi is amongst the first 20 cities being transformed into Smart Cities, this was a much needed development.” Other dignitaries present for the occasion include Ananth Kumar, Union Minister of Chemicals & Fertilisers and Parliamentary Affairs; R.V. Deshpande, Minister for Large & Medium Industries and Infrastructure Development, Govt. of Karnataka; D.K. Shivakumar, Minister of Energy and Power, Government of Karnataka, Ramesh L. Jarakiholi, Minister for Co-operation and Belagavi District Incharge Minister; Suresh C. Angadi, Member of Parliament (LokSabha); Dr. Prabhakar Kore, Member of Parliament (RajyaSabha); Sanjay B. Patil, Member of Karnataka Legislative Assembly and Sanjyot Bandekar, Mayor, Belagavi City Corporation as the guests of honour. 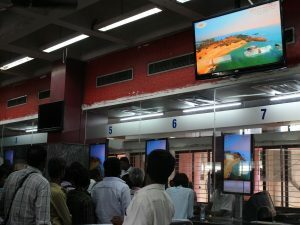 Karnataka Tourism is planning to intensify its 2017 campaign ‘The Year of the Wild’ by installing intelligent displays at 279 railway stations, which will enable it to reach 10 crore people a month. The campaign is running across 7 states including Maharashtra, Telangana, Bihar, Gujarat, Andhra Pradesh, Rajasthan and Karnataka. 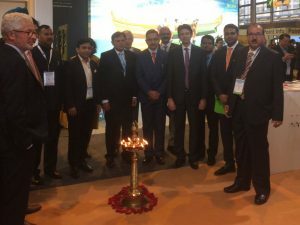 This has been made possible as Karnataka Tourism has entered into collaboration with outdoor media company, Vyoma Technologies. From eco-trekking along the scenic Western Ghats, to celebrating the iconic Golden Chariot, tourism in Karnataka is definitely on the uptake, recording a 15.5% growth in tourism in 2016 as recorded by the Ministry of Tourism. 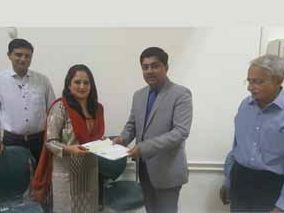 Clarks Inn Group of Hotels has announced the signing of a hotel property in Belgaum, Karnataka. The new property, a 60-room strategically located business hotel, is currently in its last phase of development and is slated to start operation by the year end. The hotel is merely an hour’s drive from Goa. Speaking on the latest addition, Rahul Banerjee, Associate Vice President–Operations, Clarks Inn Group of Hotels, said, “Clarks Inn witnessed one of its biggest growth year in 2016 opening and signing a total of 21 new properties, including 12 operational, with the total tally reaching 75 hotels last year spread across 17 states in India and one in Nepal. With a strong development pipeline, we are expecting another year of robust growth in 2017. And with the latest addition at Belgaum we are confident of reaching a 100 hotel portfolio milestone by the end of the year.” With the latest addition Clarks Inn now boasts of a portfolio of 76 hotel properties, including 42 in operation, spread across 17 states in India and one in Kathmandu, Nepal. “The 60-key Clarks Inn Belgaum will be a vibrant hotel property with strategic location that will cater to all the needs of the modern day discerning business and as well as leisure travellers. 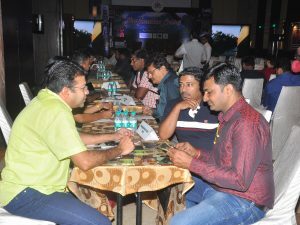 As a hotel company, we now have the most widespread presence in Karnataka with as many eight hotels currently in operation at Badami, Bagalkot, Bengaluru, Gadag, Hampi, Hubli, Mysore and Shimoga and four more slated to open door over the next one year,” said Rupam Das, Area Director-Operations (South), Clarks Inn Group of Hotels.